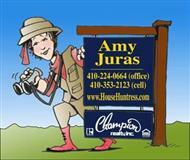 As a consistent Top Producing Realtor in Annapolis, let me help you with buying, selling and investing in real estate. Working with me will provide you with the advantage especially with my years of proven experience and skills being put to work for You. I can help you with a broad range of real estate services as well as home buyer programs and financing options. Contact me today to get started.